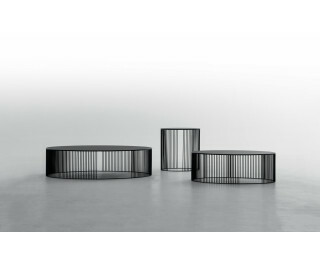 Andra’s composition was developed in vertical lines, and a circular, varnished metal rod as a belt: it can be white, to brightly shine, or black, to exude elegance. The structure’s metal is put together with the tempered, frosted glass top. The color may be white, or black, as well.